New septic regulations are in effect, so for private septic systems, all homeowners must know the new rules. Here is a summary with helpful links to the county regs. In 2005 and 2006, septic regulations were created that greatly impact Clallam County Environmental Health and county residents served by septic systems. The State Board of Health adopted a revised version of the onsite sewage system code, WAC 246-272A. This code governs on-site sewage (aka septic) systems in the state. In the updated code, there is a provision that requires the 12 Puget Sound counties, including Clallam County, to develop Onsite Septic System Management (OSSM) plans to address development and long-term management of onsite septic systems. Also included in these septic regulations is a requirement for septic systems to be inspected at routine frequencies (i.e. annually or every three years depending on the type of system) and that the County will maintain a method to account for all septic systems in the county and retain data on all the septic system inspection activities. The second piece of legislation, RCW 70.118A, requires the County to address areas where septic systems are or might be impacting water quality related to shellfish growing areas by creating a Marine Recovery Area (MRA). Further, the County is required to account for and determine the functional status of every septic system within the MRA. In response to this mandate, the Environmental Health Division developed Clallam County’s OSSM plan using a consensus-driven stakeholder work group composed of members of the local governments and tribes, industry, realtors, financial institution representatives, and citizens. In 2007, the stakeholder work group (known as the Clallam County OSS Work Group) developed a plan which was approved by the Clallam County Board of Health with concurrence from the State Department of Health. 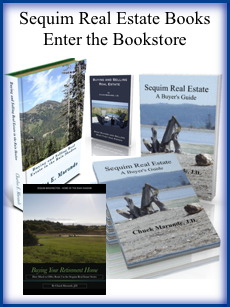 An MRA was established based on the existing Sequim-Dungeness Bay Clean Water District. As a method to comply with the requirement to ensure and document that septic systems were working properly, the OSS Work Group discussed the issue of inspection at time of property transfer in detail and determined that the requirement should be in our local onsite septic system code. This decision was based in part on the State Board of Health code which provides for local environmental health departments to use this tool as a mechanism to implement local on-site management plans. Due to concerns about the impact on property owners and the real estate community, the implementation of this part of the code was extended to the June 1, 2010 date. Question: Does your ordinance (septic regulations) refer only to septic systems? The work sewage is used in the ordinance. Does it pertain to sewage disposal systems for properties connected to sewers? How about systems that “pump up” to sewers? Or is this specifically limited to On-Site Septic Systems? “On-site sewage system” (OSS) means an integrated system of components, located on or nearby the property it serves, that conveys, stores, treats, and/or provides subsurface soil treatment and dispersal of sewage. It consists of a collection system, a treatment component or treatment sequence, and a soil dispersal component. An on-site sewage system also refers to a holding tank sewage system or other system that does not have a soil dispersal component. The terms on-site sewage system and onsite septic system are synonymous in these septic regulations. For clarity’s sake we will use the term onsite septic system in place of onsite sewage system. Clallam County does not regulate sewer systems. This ordinance does not apply to buildings connected to a sewer system. Question: Do the septic regulations give the county authority over septic systems located within the city limits? Answer: Yes, WAC 246-272A 0020 stipulates that local environmental health jurisdictions (working through the local health officer) have jurisdiction over onsite septic systems with design flows up to three thousand five hundred gallons per day. Question: If a septic system is connected to a community drain field, do you need two reports… one relative to the individual property and one relative to the drain field. 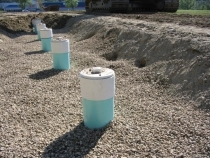 Answer: Community septic systems are required to have O&M (operation and maintenance) reports. The reports include the individual tanks serving each home and the drainfield. Question: Under the new septic regulations who will receive all of these reports? Answer: The state onsite code requires environmental health departments to maintain all records of OSS inspections. Clallam County has received these kinds of reports (previously referred to as sanitary surveys) for many years as the reports have been required by financial institutions. Staff is available. The County is also working to incorporate web-based septic system inspection reporting. The fee for filing a report at time of property transfer is $35.00. Question: The septic regulations refer to a “Report of System Status” which is defined in your septic regulations as “documentation showing the location, type, use, and conditional function of an OSS”. Is this a downloadable form or just a sheaf of papers forwarded by the seller? Do you have any specific guidelines for preparing this “documentation”? If so, please post them on your website if they are not already there. Answer: The report of system status is the same as the inspection previously called a “sanitary survey”. A licensed designer or certified maintenance provider has the form to use during the inspection process and submits that on behalf of the property owner. Question: What do you mean when you say that system status reports must be current “within the same year as the transfer of title”. Does that mean the calendar year or within the previous 365 days. Properties can stay on the market for a considerable time and so if a seller has an inspection in, say, October of 2009 and the property sells in May of 2010, how many inspections does he need? One or two? Answer: A system status report done within 12 months of the property transfer will be considered current. 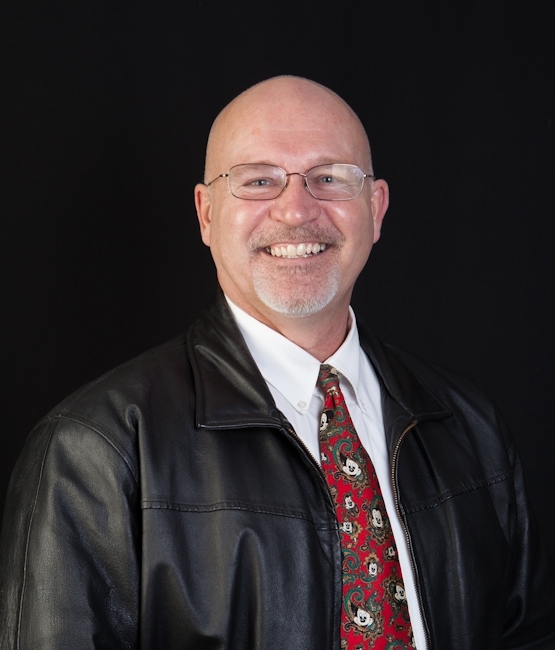 For example, if a report of septic system status was performed and filed with the County on December 15, 2009 and the property transfers ownership on December 14, 2010, then the 2009 report would be valid for the purposes of the property transfer. However, if the property is not sold (i.e. property transfers ownership) until February 1, 2011, then the report would not be valid because it is outside the 12 month validation time frame. 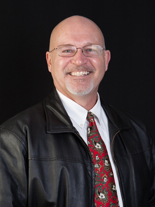 Question: What happens if the seller does not comply with the septic regulations? Who is the enforcement authority? Answer: The County is seeking voluntary compliance with the septic regulations. Is Theft Insurance Necessary When Building a Home? 7 Responses for "Clallam County Septic Regulations"
Great information for homeowners. Definitely something that all need to know about. Great explanation of these new septic regulations in Clallam County, but I have to wonder if more regulations by more layers of government is a good idea. I get the importance of health and safety with septic systems and wells on property, but I just think we are drowning in millions of laws and regulations. Sounds like Sequim and the County are pretty much following the trend across the country. Am I glad I live in the city. Growing up in a home with a septic system makes one appreciate city services. This article answered my question precisely. Thank you. Exactly what I was looking for. Planing to find a place in the city. Thank you. If a home was built in 1996 in the county with a gravity flow, is not a pressureize system or a raised system, does it have to be inspected ? This in cllalum county, wa. state. Editor: Yes. The new rules for annual septic inspections are required by every private septic system.